Spoilers below for Star Wars: The Last Jedi. If you haven't seen the movie yet, well, why haven't you? Truthiness: I kinda hijacked Biggs' article here, but I couldn't pass up another opportunity to go head to head with the mustached menance. We had a colorful disagreement on Poe's actions in the Last Jedi, so it's time for another installment of Truth(iness) vs. Logic. Biggs started this whole thing, so obviously he gets the first say. Commander Dameron had correctly identified that the First Order would bring a Dreadnought-Class Cruiser to destroy the Resistance Base. His plan was to engage the ship in close with a single T-70 X-Wing starfighter, taking out its anti-squadron defenses. By only sending a single fighter, he would hope to delay the First Order scrambling fighters of their own to cover the Dreadnought, and in fact General Hux is delayed in ordering fighter cover brought up for several crucial minutes as Cmdr Dameron destroys the anti-squadron cannons. During this time, he is ordered once to disengage by General Organa, but almost immediately takes out the final cannon. At this time he orders the bombers to begin their attack on the Dreadnought, and that order is not cancelled by General Organa. Speaking of the bomber "fleet" of 6-8 ships, it should be pointed out that Commander Dameron isn't the person that orders them to maintain a tight formation, which based on their apparent vulnerability to all blowing up if a single one of them is hit is something they definitely should never do, ever. Quality design. And horrible delivery method. Does the Resistance just not have B-Wings or Y-Wings anymore? My only criticism of the plan could be that it relied on those bombers to actually be able to arrive on the target and deliver their payload. 6-8 "Resistance Bombers" that blow up if you look at them funny. For an organization that is then able to withdraw to find a new base and contact their allies for more resources, that seems like an entirely reasonable trade. In addition, the loss of the Dreadnought allows the Resistance fleet to survive the next stage of the game, as it's long range lasers could have punched through the Raddus's shield if it was still present in the fight. I don't think I will ever understand how Rebel command structure works. Poe is demoted, but no one is ever appointed to the command structure to replace him as commander of the Starfighter wing. So... does he have the job still? No one has relieved him? Nevermind that General Organa is in charge of the resistance, but Admiral Ackbar is in command of the Raddus, and General Ematt is still around (he is the one standing on the salt / not in the trench during the battle of Kryat Base). Vice Admiral Holdo is in command of a single Corvette. I'm glad that the command structure "very clear" but damn who has that command structure? What do the ranks even mean? 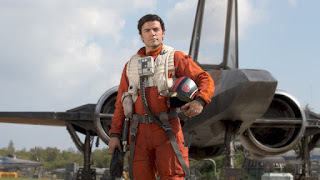 Anyway, Poe Dameron remains one of the senior staff following the incapacitation of General Organa and the death of the rest of the Resistance leadership. He is used to dealing with the senior-most commanders of the fleet. 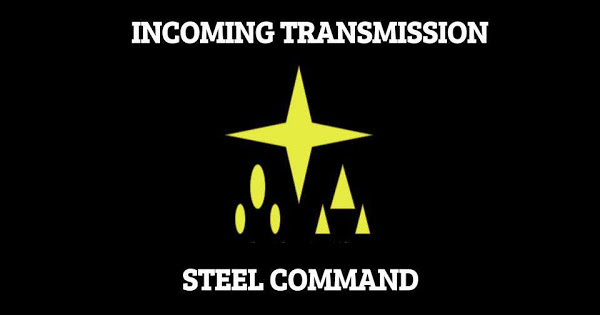 The new commander is someone who he has never met, and he introduces himself to her immediately, informs her of the situation, and asks what her orders are. Rather than bring him and his expertise into the fold she dismisses him outright. She doesn't say whether there is a plan, or if she is still coming up with a plan. Let's be clear. Poe does not know about any cloaking scheme at this point. When Finn and Rose approach him with their plan, he knows the following: They will need a slicer to get onboard the Supremacy. He is given the name of a viable slicer from Maz. Now he has a plan that could potentially save the entire Resistance fleet. If it fails, the fleet loses 2 personnel, a droid, and a single transport shuttle, and is in no worse shape than before. Maybe it has some long odds, but when has this ever worked out before? So to be clear, Poe has a plan that costs the Resistance very little if it fails. If it succeeds, it could save the entire fleet. He has no faith that Holdo will sign up for the plan, as his limited communication with her has shown that she is unwilling to listen to him. In fact, it isn't even clear to him whether or not she has a plan. Finally, in this section, I feel the need to point out that the Resistance flagship is named the Raddus. The Resistance have chosen to honor a Rebel hero, most notable for 1) Not listening to the chain of command. 2) Fighting when the general consensus was to hide. 3) Having ideas. 4) Supporting a group that mutinied, stole a shuttle, infiltrated an Imperial stronghold with 3 rebels to accomplish a specific task and save the Rebellion. This is what the Resistance honors as a culture; the most Star Wars plan imaginable, one just dumb enough to work. Holdo's plan was to fuel up the shuttles and make for Crait at sublight speed, hoping that the Empire wouldn't be looking for a group of unarmed transports attempting to land at an old Rebel era base. This plan involved sacrificing the entire Resistance Fleet, their entire combat capability. Poe's plan still had an excellent chance of working, and more importantly Holdo's plan had still not been explained. Others have argued that Poe wasn't showing leadership, and wasn't operating within the chain of command at this point by staging a mutiny. Here is where theybare wrong. In Battlestar Galactica, you have a fleet that is trying to survive against an enemy that is hunting them down, with low fuel reserves, and no reasonable plan for survival. What does command do? They announce a plan to the fleet, that if sucessful shows that they will survive. They have all personnel buy in to the plan, even if they don't believe in it personally they know that command has a plan. They have hope BECAUSE they have something to hope for. Poe gives this hope to his subordinates. He has a plan, audacious though it may be, and his plan has the buy-in from those who serve with him. He is the only leader on the Raddus until Leia wakes up. Holdo's sanctimonius speach about "Hope is like the Sun" is wrong. Leia's unwillingness to risk lives to save more was wrong. Poe couldn't see any light, so he lit a fire. Poe risked a little (Finn / Rose / BB8) to save a lot (the Raddus and its Crew). More importantly, when told of the actual plan his response was "that could work". A leader needs people to buy into their vision, and you can't have that by simply demanding it. Especially when lives are at stake. A final point to cover about the betrayal of the shuttles - Finn / Rose did not give up that intel. The slicer, and not even the correct one, did. And got lucky doing so, as the cloaking trick was not discussed with anyone previously. "Will womders never cease" indeed. I'm in the rather odd position of arguing more of the logic side of things this time around. It feels so wrong. Why are you doing this to me Biggs?! Let's face it, Poe done fucked up. I know it, you know it, heck even he knows it. And no, I'm not necessarily talking about the Dreadnought. He's damned lucky they ended up needing that Dreadnought dead, because otherwise he wasted a lot of pilots lives on pure vanity. Had the First Order not been able to track the Resistance through hyperspace (which everyone was expecting), those pilots' lives would have been far more valuable than taking out one Dreadnought. It was nothing more than dumb luck on Poe's part that it ended up being so critical. No, Poe's sin was that he almost singlehandedly got the Resistance wiped out. Were it not for Holdo's sacrfiace, they would have been. Let that sink in. Poe's actions, along with that of Finn and Rose, allowed the First Order to catch on to the evacuation of the Raddus and pick off vulnerable escape craft. Holdo's plan is the most logical plan at that point in time. Evacuate the Raddus, save the people that make up the Resistance, and hide out on Kryat for a little bit while the First Order throws their victory party. Smart, effective, boring. Sometimes you have to concede defeat and save what you can. Holdo clearly knew that, as did Leia. You know what that plan relied on? Secrecy. Would you trust a disobedient, disrespectful, impulsive Flyboy with that secret? I sure as hell wouldn't. Could Holdo have been more reassuring when Poe asked if there was a plan? Absolutely. That was a failure of leadership on her part, but Poe throwing a temper tantrum in the form of a mutinity is a textbook over reaction. "How are we going to get onboard the Supremacy?" "Well we have this cloaking algorithm." "Wait, if we get caught, would that be compromised?" "Should we maybe save that for something far less risky than trying to sneak 2 people onto that giant moving shipyard for a longshot at disabling something?" In summary, Poe should stick to flying, because he's a damned bad planner. It figures that his rank is the Navy equivalent of a Lieutenant Colonel. Only a field grade officer could come up with this kind of half assed nonsense. What? You have no idea what I'm saying again? Bah! I have to chime in with my stupefied Luke face just to say "Every part of the above paragraphs are wrong." Poe was wrong, Holdo was wrong, Finn/Rose screwed up, Rey was wrong, Kylo was wrong, Snoke was wrong, Hux was a fool, and even my childhood hero Luke was wrong. Only two people in that movie acted with any sort of sense. Yoda and the hacker. Any Star Wars fan knows how badly Yoda effed up in the Clone Wars and the hacker started out in jail. So, the movie is full of a bunch of people who do the wrong damn thing. And it was great. I don't think I have ever seen a movie about a bunch of "heroes" screwing up this badly since RotJ. The difference here though is we get to see those characters grow and learn from their mistakes. They don't magically repair their mistakes, but they each make a better choice at the end. Well, except the FO people who merely double down and make things worse. Rabble rabble rabble rabble! How dare you guys also like The Last Jedi? What is our blog supposed to fight with you guys about now then? Boo this, boo! Nah, we both liked it over at our end as well. United Blog Alliance wooooooo! Just goes to show that Armada has the best blogs. A moment of respect for Captain Canady, who I will agree was the most competent commander and Leader in the movie. Yes! The movie is supposed to be viewed through the lens of character rather than warfare. Relatively little happened in terms of warfare, as the balance of power is about where it was and the whole thing was a day or two of time, a week or two after the last movie. But a hell of a lot happened in character development. The Resistance heroes come face to face with their royal screwups and, though none of them get to fix it, they find a chance to make a better choice and show they've learned from failure. Kylo Ren, while wavering between good and bad in the aftermath of having done a real bad thing, ultimately chooses to double down hard on his wrong choice. That seems to be the most pivotal branching point of the movie. I wonder what Kylo knows about Leia. Absent any Force clairvoyance, he still thinks he killed her. Not with his own missile, but certainly in an attack he led and in which he backed down far far too late to avoid responsibility. I don't know, I think the First Order takes a bigger hit between Snoke's Death, the crippling of the Supremacy, and Luke's appearance. Hux can't be the only First Order officer who will resent Kylo as the new supreme leader- And if he gets blamed for the Supremacy being crippled, well, Kylo's going to have a thousand little fires on his hands (Imagine if someone had taken Washington D.C. into an easy battle, and then a third of it got torn off in an instant). And then every First Order soldier on Crait saw Kylo get played for a fool by Luke Skywalker, who has to be the ultimate boogeyman for them, and then he disappears into thin air. Even if Kylo knows Luke has become one with the force, I don't think the rank and file will believe him. Meanwhile, the Resistance now has new rallying symbols and proof that the destruction of Starkiller Base was not a fluke. They're hurting, but they're unified, and they can rebuild. Personally, I think the Holdo should have trusted Poe with the plan from the start, because the lack of knowledge that a plan even existed clearly caused severe morale problems- as evidenced by the support Poe gets for his mutiny. Getting Poe on her side and communicating that there was in fact a plan (even if the details could not yet be disclosed because preventing imperial scans from spotting the setup was crucial) would have gone a long way towards calming everyone. And the thing is, if she'd done that, Poe probably would have shared Rose and Finn's plan. Which, while desperate, had a chance of working and was probably worth it since the Raddus (and, if it worked fast enough, the other two ships) are such valuable enough war materiel that risking a handful of agents to save them is a gamble worth taking*. Where Poe's plan backfires is when he gives Poe, Rose, and DJ information that they shouldn't have*. If Poe had known that operational security was essential, he wouldn't have told them about the plan, and thus DJ would not have been able to betray the Resistance evacuation. Hux and Snoke would thus have assumed that Rose and Finn were the Resistance's last chance, destroyed the Raddus, and let the Resistance regroup undetected on Crait while the First Order assumed they were destroyed. *Actually, it might have gotten vetoed if Holdo and the other remaining Resistance leaders felt that there were no personnel capable of pulling it off- Since Finn, Rose, and BB-8 were not really qualified for the mission, and it's possible the personnel on the Raddus lacked the necessary skills to pull the plan off. But in that situation, frankly, Holdo and co. would probably have had a point. As for the opening scene... We don't really know enough about the Dreadnaught to say if the sacrifice was worth it. The Resistance certainly inflicted more casualties than they took, but they also have a lot less to lose; If the First Order lost thousands of crew and a highly valuable warship and it's support craft while the Resistance lost about a dozen fighters and their crew, that could still end up being a bad trade if the First Order can absorb that loss, since with only 3 ships and several hundred personnel, every loss hurts the main resistance group dearly. The entire Resistance/Rebellion fleet part of the movie made no sense at all. At best. Most of the time it made me cringe and wish for the next Jedi-related scene. I think Poe's biggest error was allowing the slicer to overhear his phone call with Rebel command, compromising operational security. Stupid Poe.